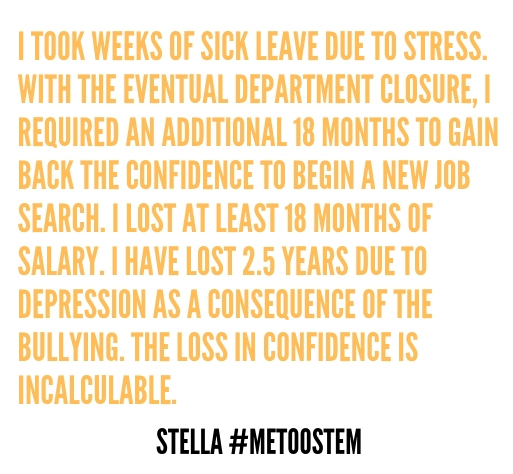 Stella was repeatedly harassed by her supervisor, leading her to experience extreme stress and depression. Stella declined to provide a photo. My Worst Moment: The relevant metoo story that I will share concerns an ex-supervisor, who was not somebody I reported to initially. I worked in the laboratory that he managed, but reported to somebody else. In the beginning, we were friendly, as you are between colleagues. However, after some time, he would mention getting connected via Facebook (which was relatively new at the time). This was not abnormal as he had friended the technicians he supervised, but I wanted to be selective about the friends I was with, by not adding colleagues who were merely acquaintances. He kept mentioning his yearly hunting expeditions, and at one point, invited me to go on a weekend hunt with him (alone. None of my other (female) colleagues present were invited. Additionally, he was with partner and children!). I declined as gracefully as I could – something about having other plans, etc. The harassment started at the moment my line manager moved on to a new job, and it was relentless (it appears that my previous line manager had kept this guy at bay). 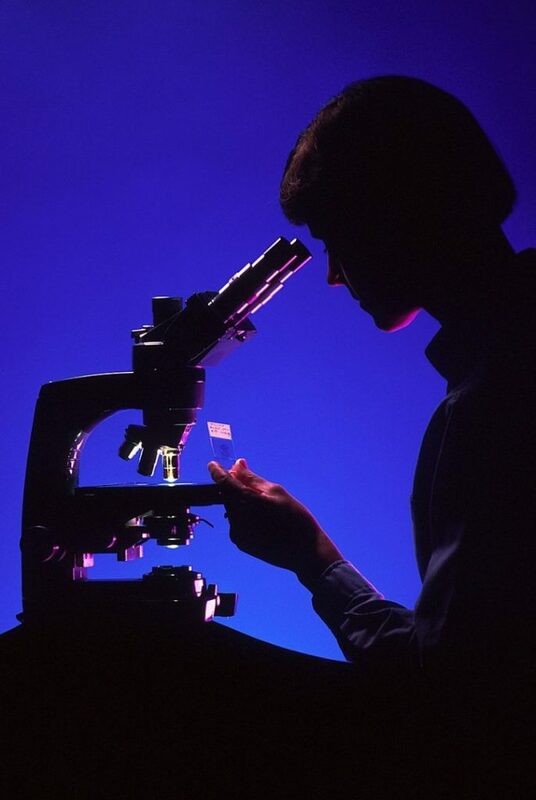 Harrasser had the others in the lab isolated me, he started to question the quality of my work, he tried to convince the new director to review 2 years of work I had performed! Keep in mind, he had verified months of my work without problems, so how it all of a sudden became a problem now that we had a new director, I cannot explain it. I Have Given Up On: I took weeks of sick leave due to stress. With the eventual department closure, I required an additional 18 months to gain back the confidence to begin a new job search. This Has Cost Me: I lost at least 18 months of salary. I have lost 2.5 years due to depression as a consequence of the bullying. The loss in confidence is incalculable. Is There a Bright Side: Living through negative experiences means you learn about life, and hopefully can enjoy the full spectrum of what it can offer you, whether good or bad. Hopefully I can learn what type of behaviors to accept and be more assertive when they swerve into behaviors I do not like.